The Thermal Comfort System enhances your bathing experience with a special heating pad built right into your neck and shoulder areas while you soak! Easier yet; you can simply sit in the bathtub without water and enjoy the feel of heat penetrating deeply to soothe your sore and aching muscles. 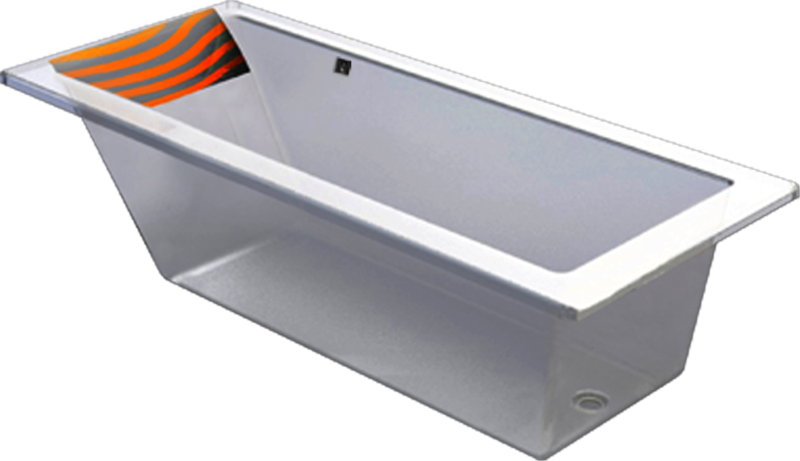 Designed with 2 heat settings and a 30 minute auto-off function, the TCS allows you to safely enjoy a bathing experience like no other! The TCS is eco-friendly and consumes less energy than a common 60 watt light bulb. Add a TCS to your bathtub and enjoy a guilt-free bathing experience that relaxes both mind and body!